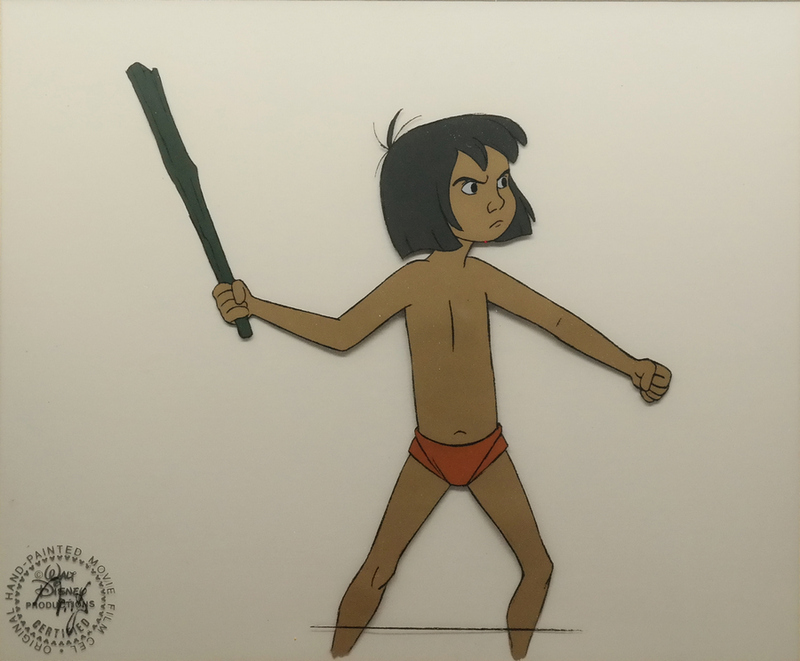 7.5" x 8.5", with matte opening 9" x 11"
This is an original production cel from the Walt Disney Studios production of The Jungle Book (1967). 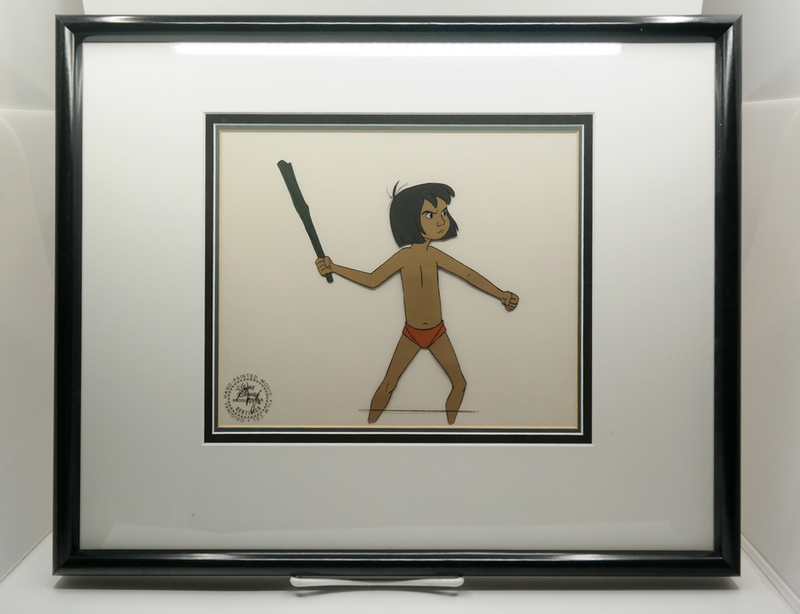 This hand-painted cel features Mowgli boldly brandishing a stick as he prepares to fight Shere Khan, and was created at the studio and used during the production of the film, representing an actual frame of animation that was photographed and appears in the film. The overall measurements of the piece are 16.75" x 20.75" and the image itself measures 7.5" x 8.5", with matte opening 9" x 11". The cel is in very good condition, unexamined out of frame. The frame is included complimentary, it may have some signs of wear including scratches and dents. Please ask for condition notes on specific frames if it is a concern.